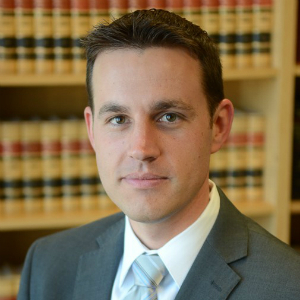 Sean D. Allen is a partner with the law firm of Roseman Law, APC, and is the head of the firm’s HOA department. Mr. Allen is a skilled attorney with litigation, appellate, and transactional experience in areas such as real property, contracts, business and corporate governance, interpretation and enforcement of governing documents, business entity formation, and bankruptcy. Having exclusively represented homeowners associations and other common interest developments for several years, Mr. Allen has broad experience with issues and disputes that impact community associations, including CC&R interpretation and enforcement, corporate governance, compliance with Davis-Stirling Act, assessment collection, foreclosure, document restatements, encroachment and boundary disputes, lien priority, eviction, and community association governance. Additionally, Mr. Allen is one of the few attorneys knowledgeable of the unique issues surrounding community associations as bankruptcy creditors. Mr. Allen obtained his Juris Doctor degree from Pepperdine University School of Law. He is licensed to practice in all courts in the State of California and in every United States District Court throughout the State. He has successfully argued matters before the several Superior Courts of Los Angeles County, Ventura County, Orange County, Riverside County, San Luis Obispo County, and Santa Barbara County, as well as the California Court of Appeal, and each of the California District Bankruptcy Courts. Mr. Allen is an active member of Community Associations Institute (CAI) in several Southern California chapters and has authored a number of articles pertaining to common interest development law and its application to community associations in California. Additionally, he has been a featured speaker at various CAI events, including the 2016 and 2018 CAI National Law Seminars. Mr. Allen is a member of the California Legislative Action Committee (CLAC) for the Channel Islands and Los Angeles Chapters of CAI, and serves on the Education Committee for the Orange County Chapter of CAI.